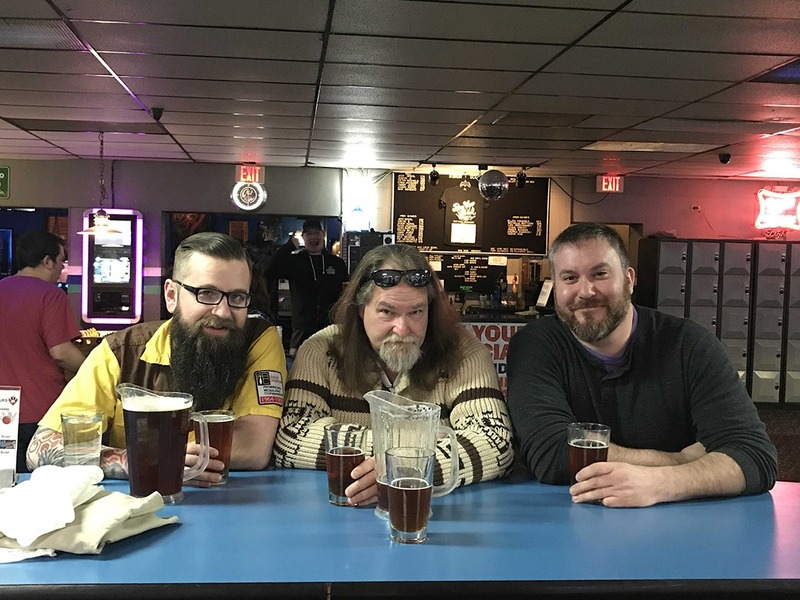 Dudeism – White Russian Stout Wins! Brewing Update: The White Russian Stout Has Been Released! 1.26.18 – The Dude Abides! We had a blast at the bowling party last night! Thanks Bay View Bowl for a great time. 1.3.18 – Dudeism is packaged up and will be heading your way soon! Stay tuned for details on the upcoming release party! 12.13.17 – Ingredient additions! Coffee and vanilla are going into Dudeism. We ended up using a Kona blend from Berres Brothers out of Watertown, WI. It smells incredible throughout the brewery. This beer is getting close! 11.17.17 – Brew Day! We are going to brew Dudeism today! Can not wait for the delicious white chocolate additions!! This beer is loaded with so many awesome ingredients it is going to be outstanding. Super excited to be brewing with Brad, the submitter of Dudeism. 10.30.17 – Dudeism wins! Life is full of strikes and gutters, but we all abide. This White Russian Stout ties any room together. Also known as, ‘The Dude’ if you’re into the whole brevity thing. This White Russian Stout will be brewed with lactose for smooth sweetness and feature coffee and roasted chocolate flavors. We will be brewing this beer soon! Stay tuned!